Probe Thermostats - Comstat, Inc.
Probe thermostats use a bi-metallic snap action switch that is potted in a stainless steel, brass or other housing material on request. The probes are used to sense air or fluid and are mounted via an NPT thread or a flange. 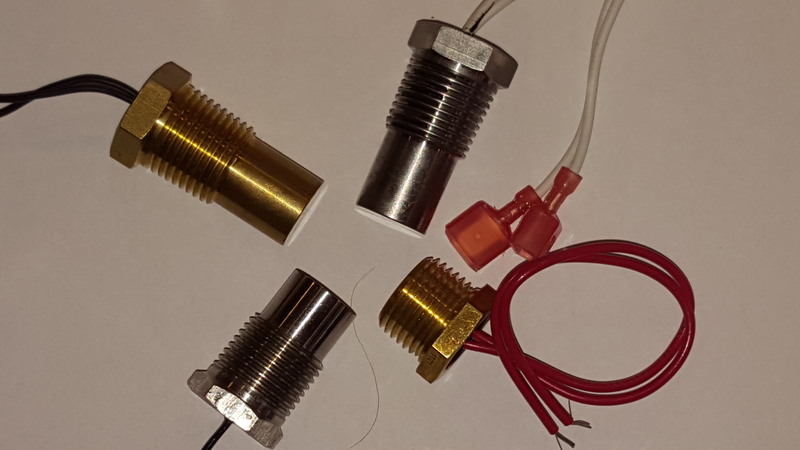 These sensors are typically used as an over temperature protection device and can be designed to either open or close an electrical circuit at a pre-set temperature. Probes can be used in control applications with designs that have tight hysteresis.